Brian Hennessy. An Australian in China. February, 2015. Any effort we make to understand and appreciate mainland Chinese language and culture will be rewarded by word of mouth recommendations to visit Cairns. China has the largest internet grapevine in the world: satisfied customers will provide more free advertising than we could ever dream of or afford. Most visitors from mainland China will speak Mandarin – the standard language (Putonghua). Being intellectually prepared for an increase in visitors to Cairns from mainland China is almost as important as being organisationally ready. If we hope to offer a best-practice service in a highly competitive environment, we should ensure that (i) we know our source market intimately (i.e., mainland China); and that (ii) we tailor our services to meet the special needs of this market. One of the ways to meet the special needs of mainland Chinese visitors is to recognise that most of these folk speak Mandarin rather than Cantonese. 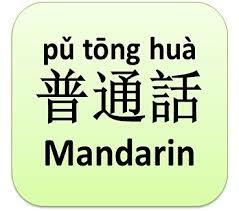 Mandarin is the Western term for Putonghua which means ‘common or standard language’. At the moment however, many local Chinese service providers are more fluent in Cantonese than Mandarin. As we know, there are historical reasons for this. The ancestors of most local Chinese Australians came from Cantonese speaking areas of southern China. Some of them also spoke the local Hakka and Hokkien dialects. We also know that in the recent past most Chinese migrants and visitors have come from southern China. This is about to change. In the future, most arrivals will come from Mandarin speaking mainland China where a majority of the 1.3 billion people communicate in Mandarin or one of its sub-dialects. Only 70 million Chinese nationals speak Cantonese (this includes Hong Kong residents). These days, right across China, all school-children are obliged to learn Mandarin. Since 1958, the Beijing government’s policy has been clear: Mandarin is the lingua franca for all Chinese people. It follows that local government services, tourism agencies and service providers in Cairns should find qualified native speakers of Mandarin to train their staff. Further, they should verify rather than accept at face-value that tour guides (for example) are actually fluent in Mandarin. If we aim for best-practice standards of service delivery, then demonstrated fluency in Mandarin should be a prerequisite for any employee who engages with our guests from the Middle Kingdom. They should also encourage their staff to learn something about Chinese culture and society. This is important because mainland Chinese visitors to our region will value any effort we make to appreciate their 4000-5000 year old civilisation. Mainland China is different from Hong Kong and Taiwan. Even the written language is different. Thus care should be taken to ensure that public signage and private hotel instructions are written in simplified Mandarin characters rather than (or as well as) traditional Cantonese characters. Mainland Chinese visitors will be sensitive to this written form of communication. In short, any effort we make to understand and appreciate mainland Chinese language and culture will be rewarded by word of mouth recommendations to visit Cairns. China has the largest internet grapevine in the world – satisfied customers will provide more free advertising than we could ever dream of or afford. Cultural sensitivity is a big deal. Best-practice standards of service delivery will translate into competitive advantages. Mandarin is the way to go.